Did you know that an estimated one out of every eight drivers on the road are driving without car insurance? In some states, the number is much higher – as many as one out of every four drivers going uninsured. With those scary statistics, it’s smart – and required in some states – to have uninsured/underinsured motorist coverage on your insurance policy. Even if you weren’t required to have it, if you don’t carry it then you put yourself at risk for footing the bill if an uninsured or underinsured motorist hits you. And as we all know, with car damage, physical injuries, lost wages and so many other factors in play, you don’t want to be stuck with the bill. Which states have the highest number of uninsured motorists? What kind of insurance requirements exist in North Carolina? 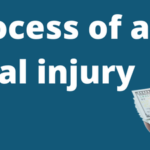 $30,000 for bodily injury liability, per person per accident. $60,000 of bodily injury liability total per accident. What other insurance options are there in North Carolina? Collision – If you are in a crash and it’s your fault, this coverage means your insurance company will pay for the repairs. That only covers collisions with other moving vehicles. Comprehensive – This will help if you hit a tree, or if someone throws a rock through your window, or other similar types of incidents. If you’ve been involved in a vehicle accident, it’s important that you contact an experienced attorney to help with the complexities of insurance and other aspects of your case. Contact Robert Armstrong’s office for help. 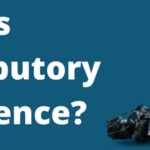 The process of a personal injury claim What is Contributory Negligence?